Gorgeous home on 8 acres and water access! 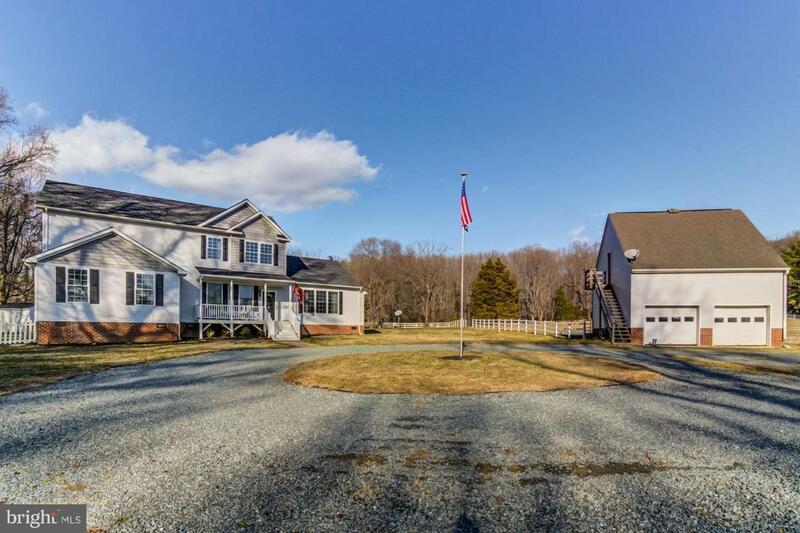 Deeded access to Accokeek Creek, complete with dock for small fishing boats and kayaks. 1.9 miles to Aquia Landing Beach, 1.4 miles to Crows Nest Natural Preserve. 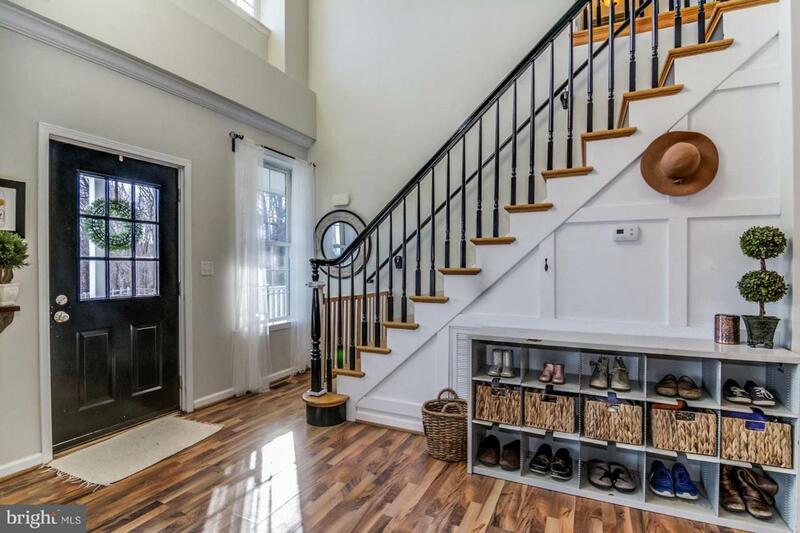 5 minutes from the VRE station, convenient to Dahlgren, Fort AP Hill, Quantico and Fort Belvoir! 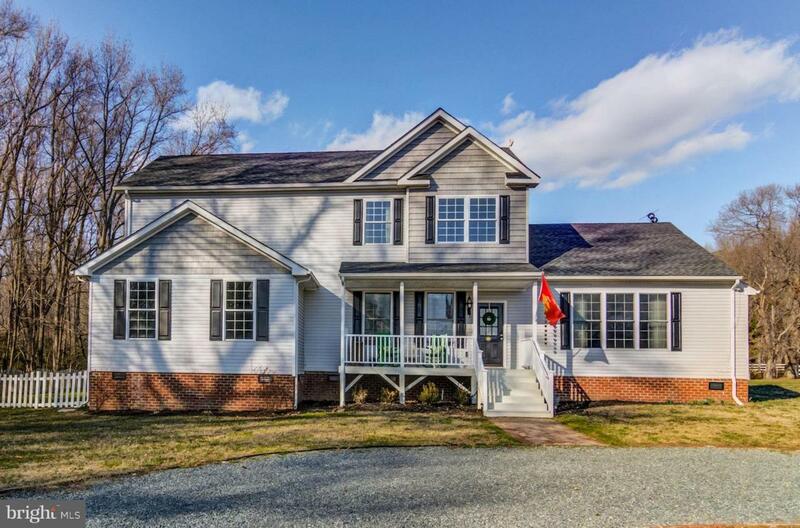 Custom updates throughout, fresh paint, new molding in the foyer, upgraded master bath, custom lighting in kitchen, interior barn door in the den, just to name a few! Main level master suite. Upstairs, two generous bedrooms with a 4th room that could be turned into a bedroom or office, and an open loft space. 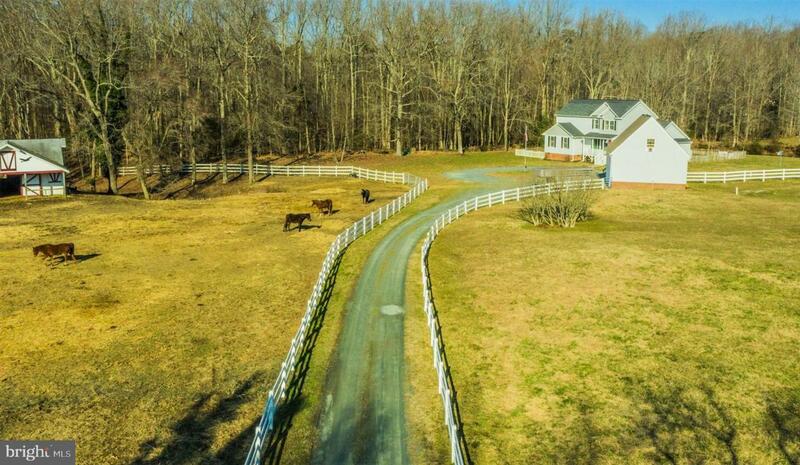 Outside there are 8 fenced acres w/horse barn that has water and is wired for electric, 3 stalls and tack room (was 4 stall and can be changed back), detached 2 car garage w/partly finished space above, full brick walkway up to the house, and huge circular driveway. Close to schools & shopping.